1/12/18 Update: The Pre-Concert Lecture with our conductor, Ransom Wilson, about the composers & pieces has been moved up to 7:15pm at Memorial Chapel on the night of the concert, 1/20/18. Journey to real and fantastical worlds through the mesmerizing music of Mendelssohn. Along the way, chance upon a rising star when the winner of the University of Redlands Concerto Competition takes the stage. The Italian Symphony was actually Mendelssohn’s third symphony. It remained unpublished at the composer’s death, by which point the Scottish Symphony (based on a later trip to Great Britain) had already been published as Symphony No. 3. Although the young Tchaikovsky began music lessons at the age of five and progressed to improvising at the piano by fourteen, none of his teachers detected what was apparently a natural ability to compose. Thus, he was never encouraged to progress beyond the level expected of any average child from a middle-class family. With his Third and Fourth Symphonies, as well as the concert overture The Hebrides, Mendelssohn managed to musicalize the literary travelogue. Jan. 20, 2018: A Midsummer Night's Dream... in January! Receive a postcard from one of classical music’s most charming composers. When Mendelssohn traveled, he wanted to capture the experience for audiences back home. These journeys brought us the Fingal’s Cave Overture, the Scottish Symphony, and a piece begun in Rome that would occupy him throughout the rest of his life: the Italian Symphony. 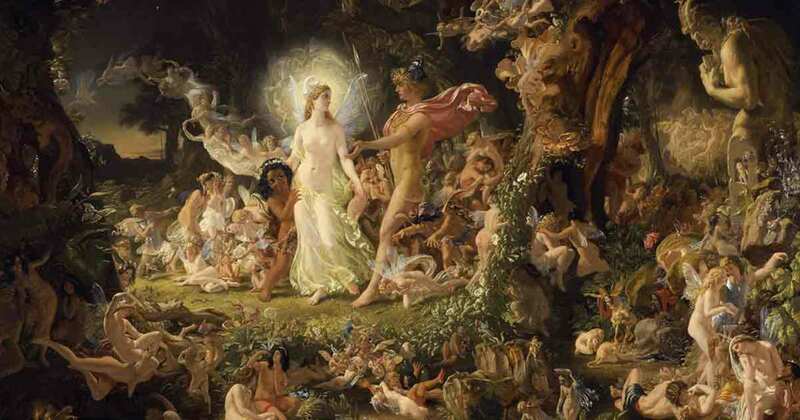 When the teenaged Mendelssohn first encountered A Midsummer Night’s Dream, he knew he had to translate Shakespeare's magical fantasy into music. Near the end of his life, the composer created music to accompany the entire play, but it all began with this overture, composed when he was just 17. Each year, we introduce the winner of the University of Redlands’ annual Concerto Competition. This is your chance to hear one of the stars of tomorrow… today!